The Faerie Review: A Medical Miracle? Synopsis: The first in a dystopian trilogy based on the author’s command of a top-secret government unit. If Orwell's 1984 was a warning, we're not listening. 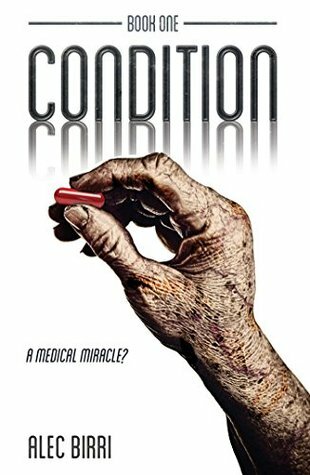 But then the CONDITION trilogy will shock the reader with just how easily we will all come to accept the unacceptable. Review: WOW. I was seriously starting to question my own sanity trying to decode Part 1!!! Color me extremely impressed, and I cannot WAIT to read the next two in the series! 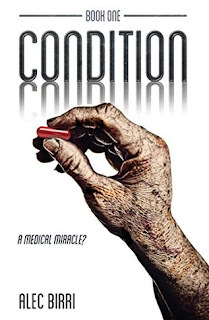 As someone who copes with multiple mental illnesses, I must confess the idea of a pill or a pill and surgery to fix them is extremely attractive. The slippery slope presented in the book though gives me pause. Is it really worth it if doing so could lead to forcing everyone to be "normal"? What would life be like if everyone was "normal:"? And who has the right to decide normal?? About the Author: Alec Birri served thirty years with the UK Armed Forces. He commanded an operational unit that specialized in new military capabilities classified at the highest level (Top Secret Strap 3) and it is this experience that forms the basis of his novels.